We continuously are updating techniques and equipment to provide our patients with the best care. Ensure to check with your insurance provider regarding your coverage prior to your appointment(s). Click on the link below to be directed to our insurance questionnaire to help you know what to look for. Should you need assistance with this, ensure to bring your policy book to your appointment for one of our administrators to look over. As a new patient at our office, you would be scheduled for 30-40 minutes with our dentist to complete a full exam and x-rays. Your entire dentition is probed for gum pocket depths to have a baseline recording of gum and bone health; areas of gum recession, tooth mobility, loss of gum support, and calculus (tartar) levels above and below the gum-line are recorded. An extra-oral and intra-oral soft tissue exam (oral cancer screening) and dentition exam. The dentist examines your teeth to check for active disease, integrity of existing restorations, areas of periodontal disease and gum disease (as pointed out by your hygienist after a Perio Evaluation is completed), and then a course of therapy is proposed. Active and symptomatic disease is dealt with first followed by a complete scale, polish and fluoride application. It is only after these treatments have been completed that any other outstanding treatment is completed. The dentist examines your head and neck to check for any “lumps” or “bumps”, abnormalities and the overall health of the soft tissue. Skyview Ranch Dental Clinic takes pride in the high standard of care offered to our patients. 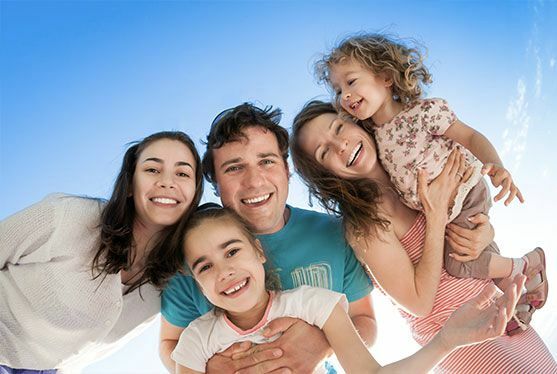 Not one person is the same, and as such, your dental treatments are custom to your oral health.